Besides being a vegetable, either wild or cultivated, Fennel is also both a herb and a spice. Fennel is widely cultivated for its edible, strongly flavored leaves and seeds. It’s aniseed flavor is similar to anise and star anise, but not as strong. 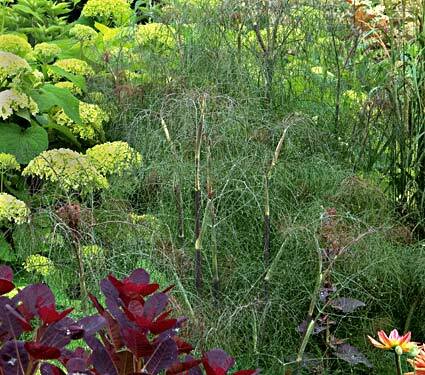 Fennel is lovely in the garden with its graceful fernlike yellow or bronze flowers. This is a beautiful, drought-resistant perennial that bears very finely textured foliage. It sets off beautifully against rosemary and blueberries. Fennel is also a butterfly magnet — and many other beneficials too. The flowers lure a host of beneficial, beautiful bugs — from butterflies and ladybird beetles to bees and hoverflies. Green lacewings, aphid predators, gravitate to fennel, making the herb a great companion for roses and other aphid favorites. 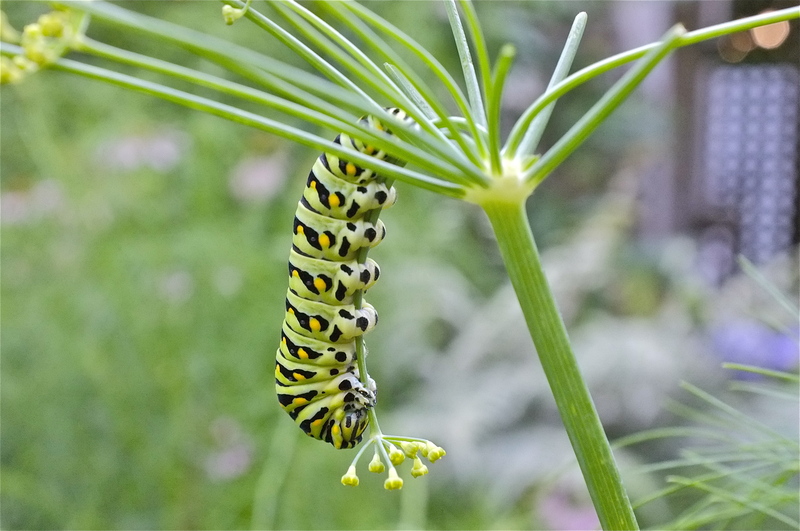 Black swallowtail butterflies lay eggs on fennel. Look for black, green, and yellow striped caterpillars munching their way along stems. 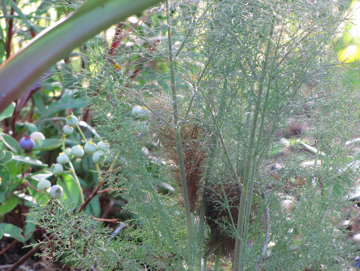 Fennel really makes a statement in a garden and is a beautiful landscape plant if you decide you don’t want to harvest from it. Next up, Fennel Doesn’t Always Play Nice. . . Okay, this year I’ve GOT to plant fennel for the bees and butterflies…trouble is, the deer like to forage on it so I have to net it. Then when it flowers, it pushes up through the netting. Seeing that caterpiller photo has convinced me it’s worth the effort. Yes, Deer like to forage on anything really, as you’ve found out. Fennel is supposed to be one of those plants that Deer dislike, but Deer change the rules as they go. I have a fenced-in backyard so I don’t have that problem, but I have many friends that deal with Deer foraging constantly. Maybe plant some other stinky plants with the fennel such as onions, garlic, marigolds and herbs like rosemary. It might help. Have a wonderful day and I look forward to hearing from you again in the future.